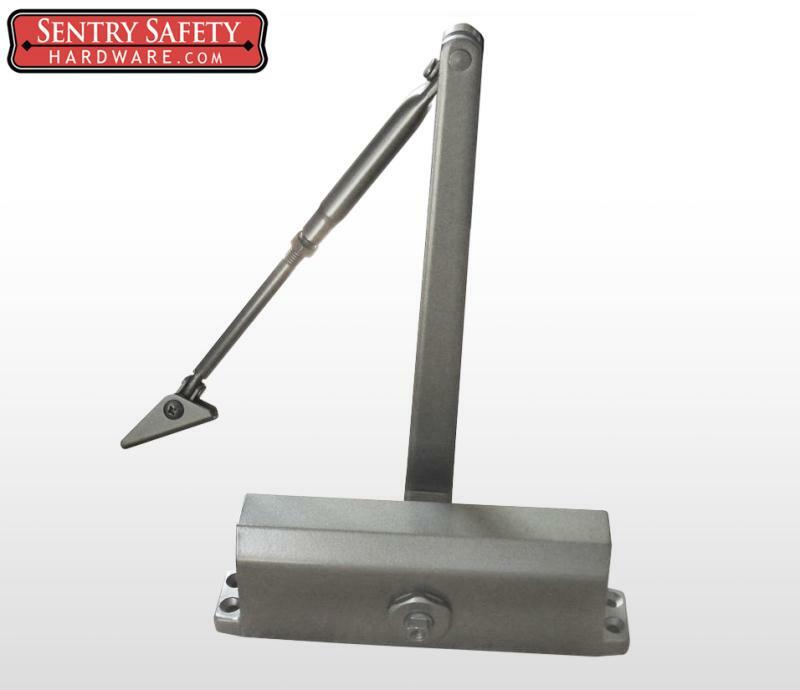 Door holders are idle for fire and smoke break doors. 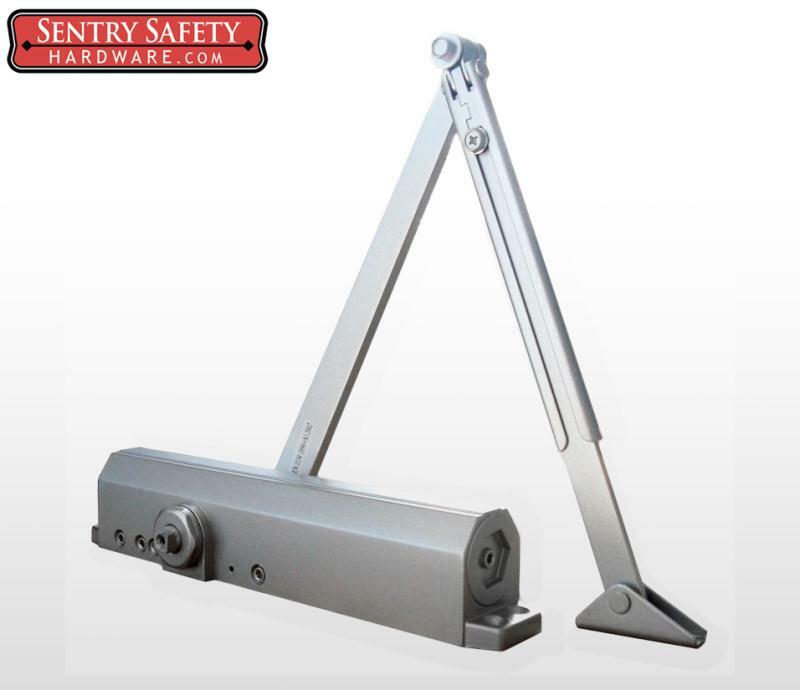 Typically these doors are equipped with fire rated door closers and fire rated panic bars. 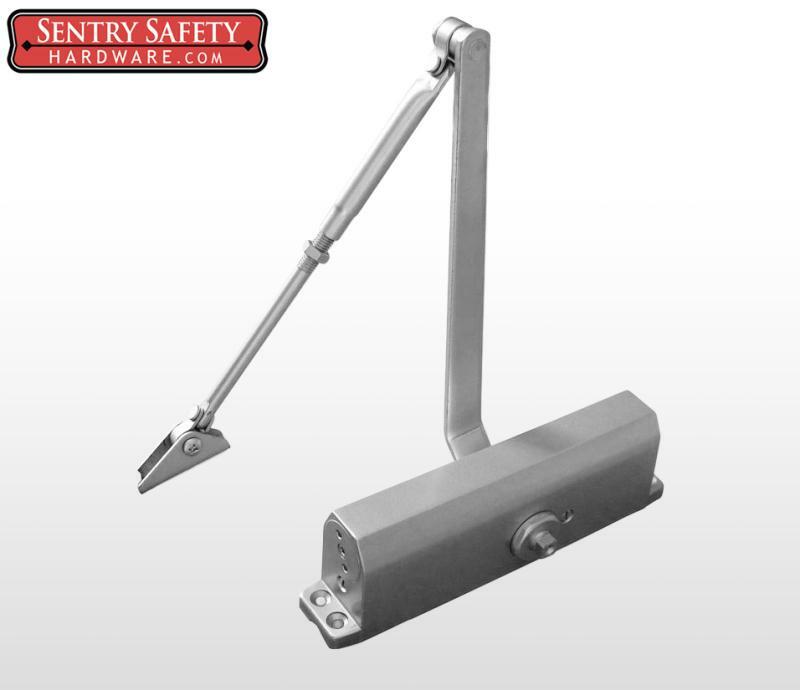 Fire rated panic bars are not allowed to be outfitted with dogging devices. 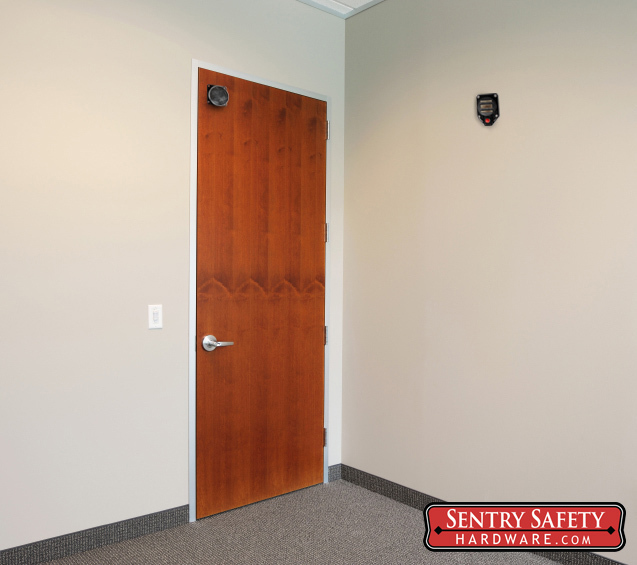 However many times the doors are typically left open unless there is a fire, then they should automatically go shut. 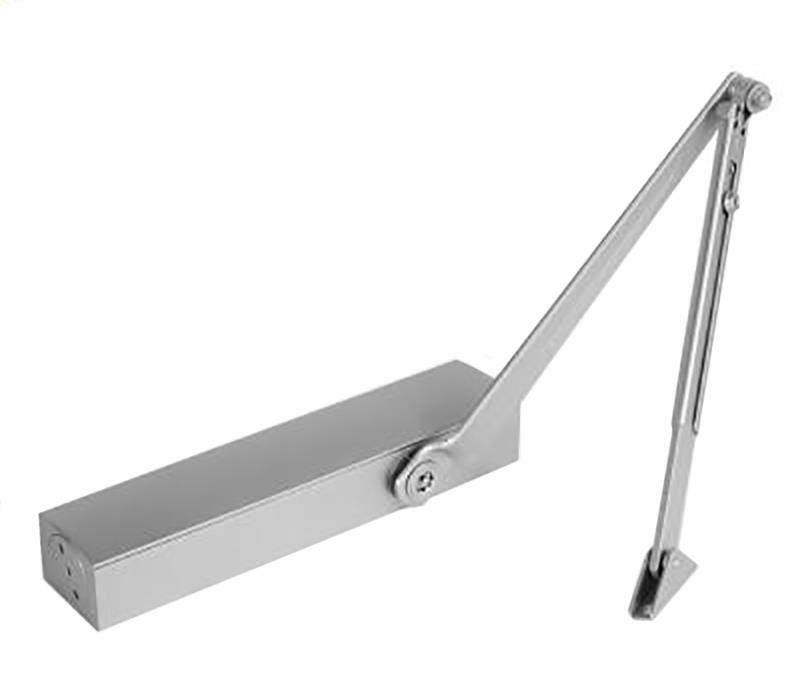 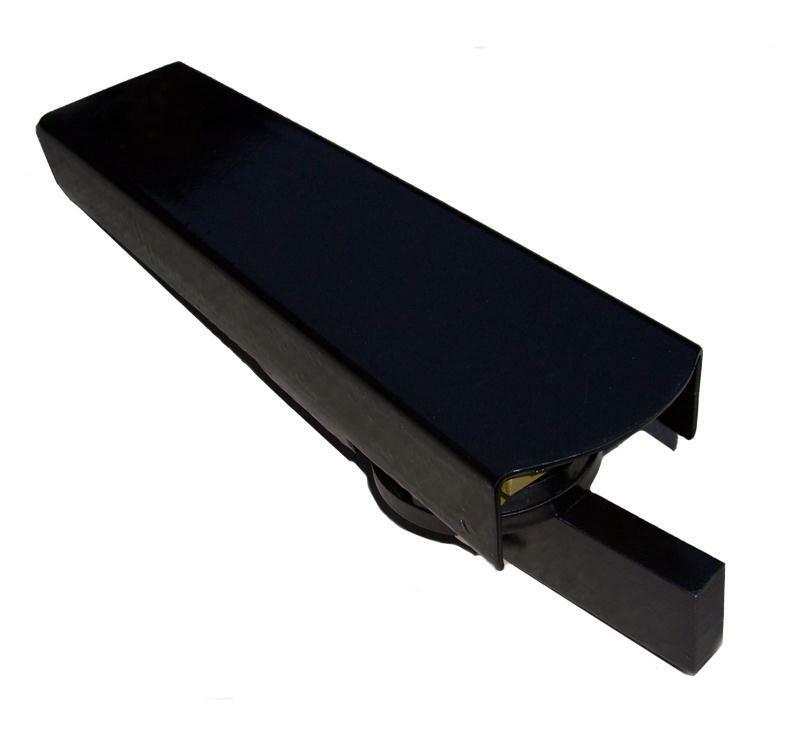 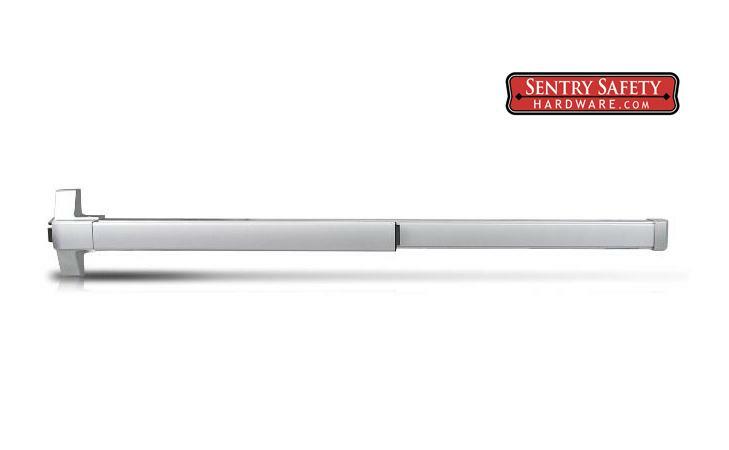 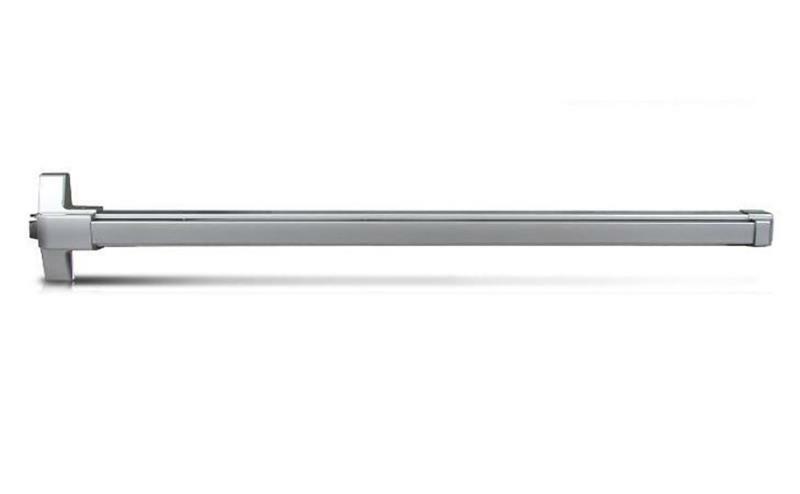 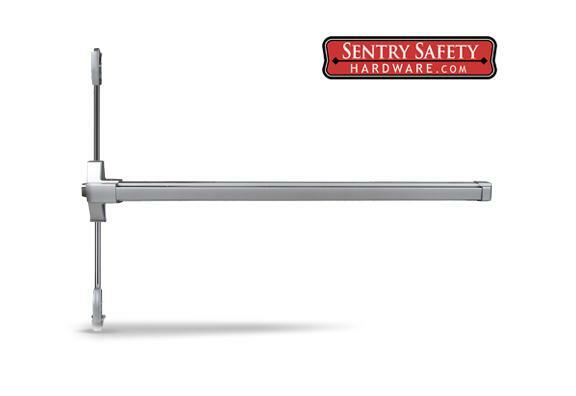 The Sentry E. Labs electromagnetic door holder can be closed through a Normally Open or Normally Closed signal from an alarm system. 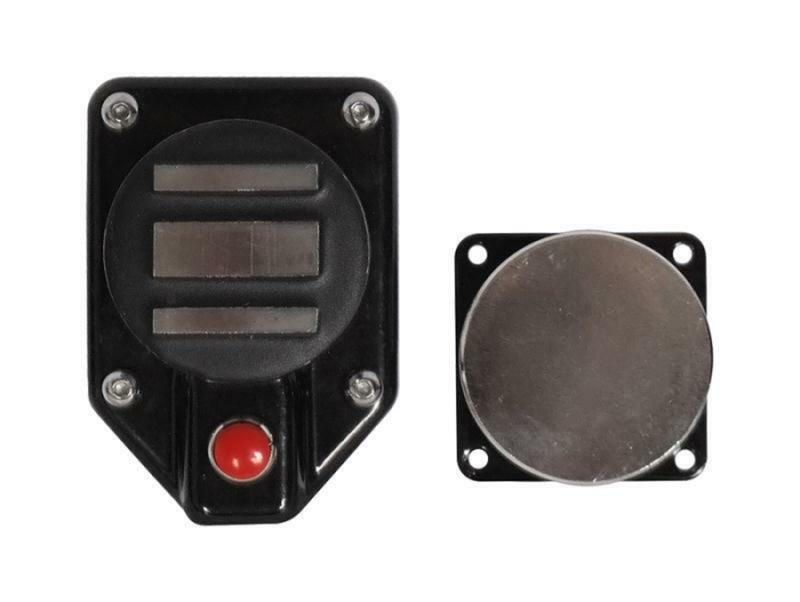 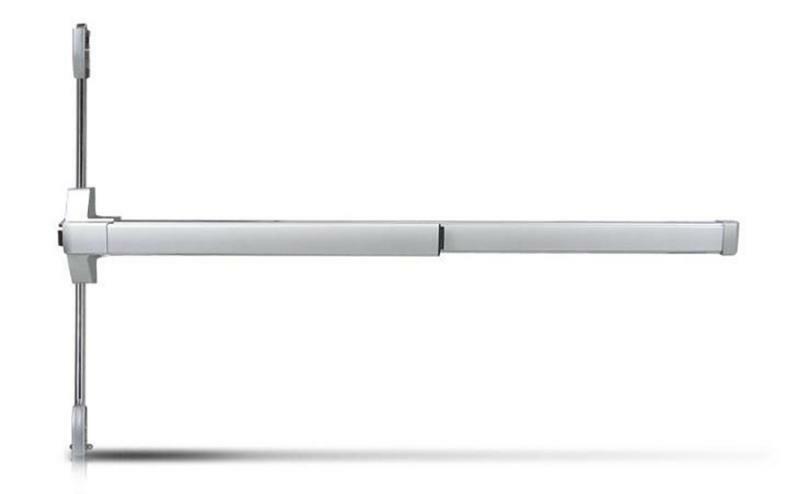 It also comes equipped with a manual override button on the magnet that will manually disrupt power to the lock and allow the door to close. 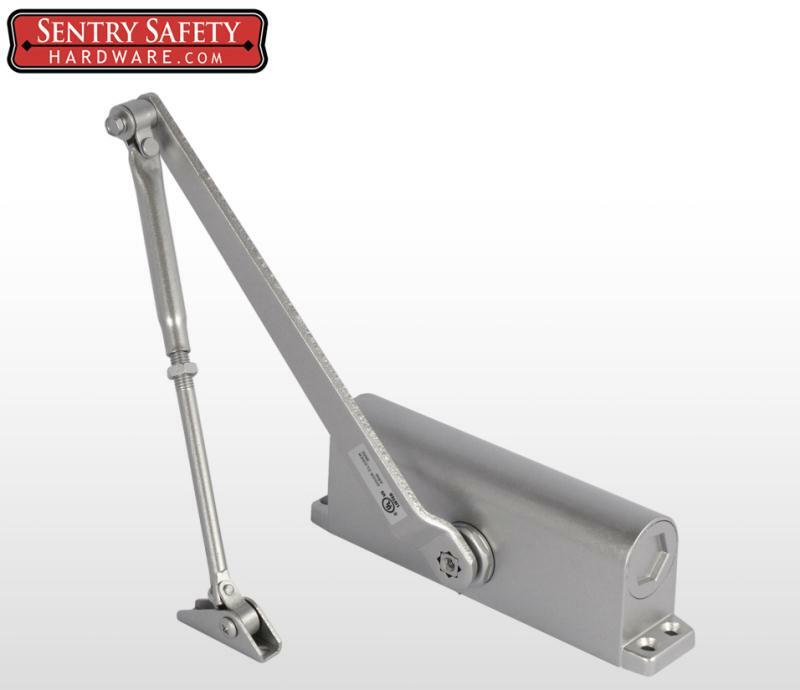 Fail safe : When loss of power occurs the lock will release allowing the door closer to shut the door. 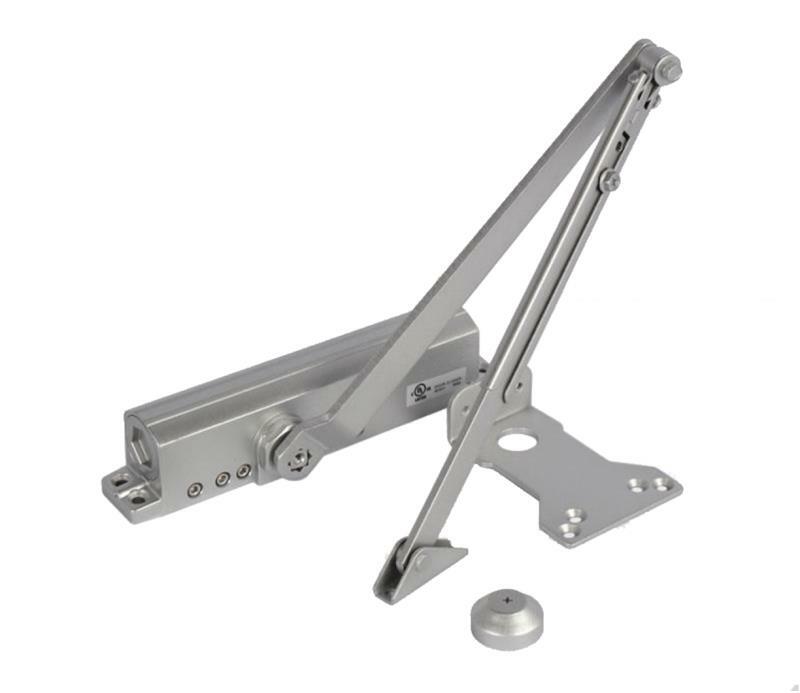 Shock and pivot mount: Door mount steel plate can pivot and has a shock system to absorb impact from door slamming.